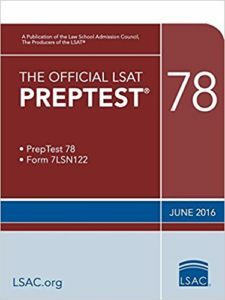 Amazon is here with a great deal offering The Official LSAT Preptest 78: June 2016 Lsat at Rs 76 . The PrepTest is an actual LSAT administered on the date indicated. Practice as if taking an actual test by following the test-taking instructions and timing yourself. Grab it Now..!! How to Buy The Official LSAT Preptest 78: June 2016 Lsat at Rs 76?